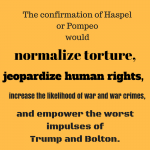 Torture is prohibited by the Eighth Amendment to the US Constitution and the Geneva Conventions. But after the onset of the “war on terror,” the Bush administration crafted a legal justification for so-called “enhanced interrogation techniques” such as waterboarding and authorized the military to use these techniques to torture detainees. The executive officials who were complicit in torture remain free, thanks to President Obama’s decision to “look forward, not back.” In fact, some of them remain on the government payroll and in positions of power. Failing to hold accountable those who authorized and committed torture sends the wrong message to the international community. To restore our international standing and ensure the strength of our alliances, we must disclose the evidence, prosecute wherever the evidence leads, and establish that we are a nation of laws. Torture is not merely something takes place on foreign soil or during the course of U.S. wars, it happens everyday domestically in the United States. One example of this is the widespread use of solitary confinement in U.S. prisons. Whether it is called Special Housing Unit, Segregated Housing Unit, Administrative, Housing, or as one juvenile detention center called it “reflection cottages” or any other name solitary confinement consists of largely the same practices. Prisoners are kept in near total isolation for 22 to 24 hours a day. A solitary confinement cell measures between 6 x 9 to 8 x 10 feet. Solitary confinement is known to cause severe psychiatric disturbances, something the Supreme Court noted in 1890. 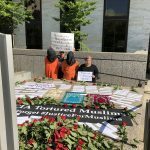 The United Nations Special Rapporteur on Torture has called for it to be banned and the Department of Justice Civil Rights division has found that solitary confinement for those with mental illness violates the 8th Amendment’s prohibition on cruel and unusual punishment. On any given day in the United States 80,000 to 100,000 are subjected to this type of treatment. The death penalty is another example of torture that takes place right here at home. The death penalty is inherently cruel and unusual punishment. Death row inmates in the U.S. will also spend years, sometimes decades, waiting to die in solitary confinement. Recent attention to botched executions shows the hideous and painful ways the state kills its citizens. Attempts to reform the death penalty, to come up with new “humane” ways of killing have been abysmal failures. The only solution to this form of torture is its total abolition. 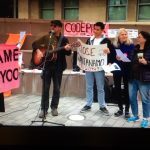 January 29, 2019 – Anti-torture activists gathered outside US Berkeley Law School, where John Yoo, author of the ‘torture memos’ is a tenured professor. 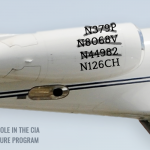 September 27, 2018 – Today, the North Carolina Commission to Investigate Torture (NCCIT) published a report, Torture Flights, that investigates North Carolina’s role in the CIA’s illegal Rendition and Torture program, and traces 49 cases of torture in which the state was directly involved. 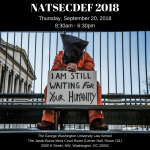 August 21, 2018 – Join Defending Rights & Dissent, Gitmowatch, George Washington Law School, Witness Against Torture, and Justice for Muslims Collective for NATSECDEF 2018: “Preserving Justice in National Security”. The Conference is free, but you must register to attend. May 9, 2018 – She also refused to say she would reject an order from Trump to torture someone, or reject a demand from him to swear loyalty to him during her confirmation hearing.